Want to discover the mexican paradise in motorcycle? These places offers motorcycle rental service. Rent a motorcycle the time you need and enjoy the mexican roads or take a guided tour with experts that will take care of you. 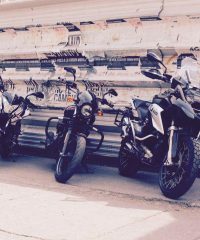 Find places to rent a motorcycle in the CDMX (D.F. ), Querétaro, State of Mexico and many more places. Sistemas de enfriamiento para motos: Todo lo que un biker necesita saber.